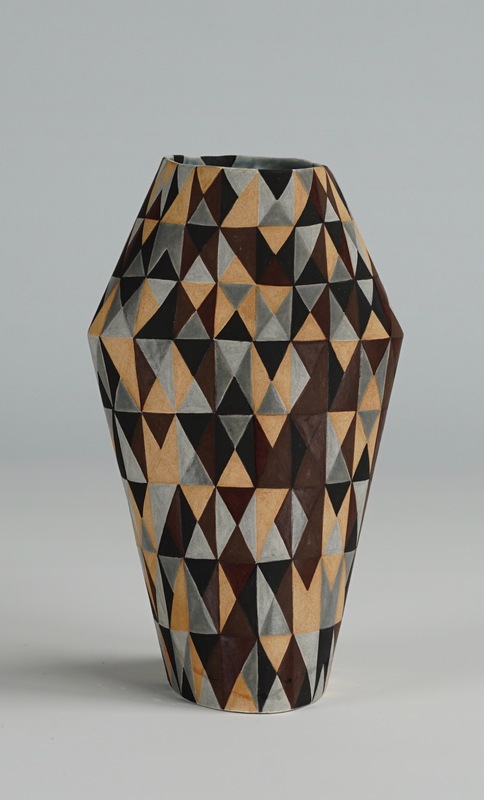 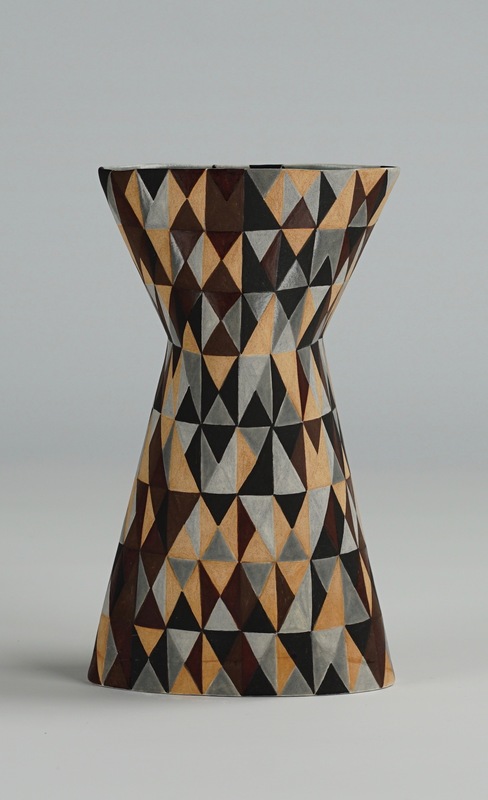 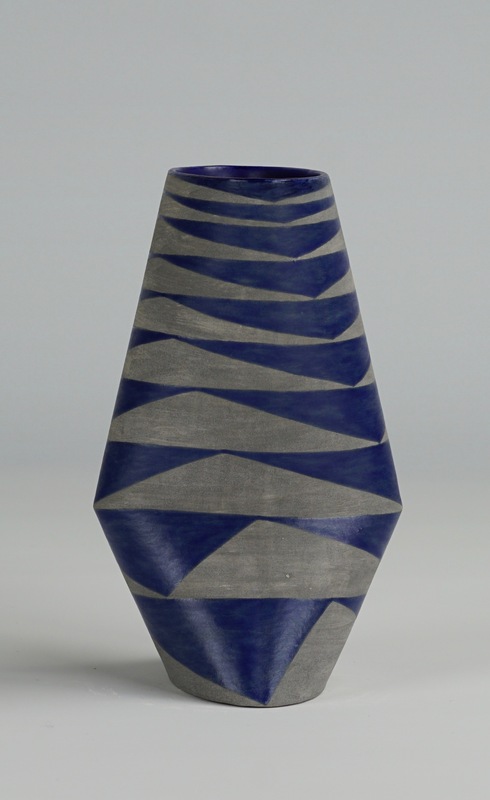 The geometry of the Twisted Oval Vases is created by three ovals one above the other. 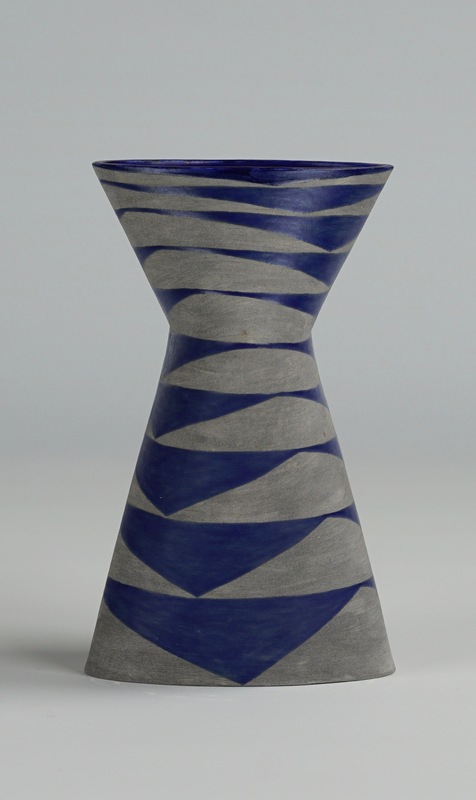 The middle oval is turned through 90 degrees and placed about two-thirds of the distance between the ovals at the lip and base of the piece. 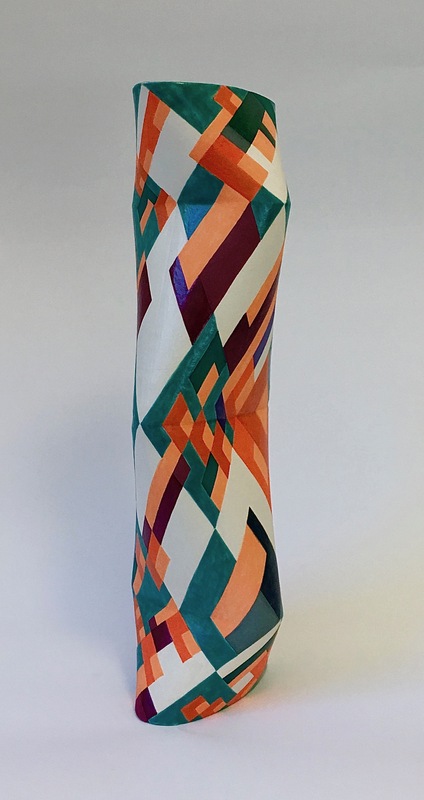 This creates a shape that bulges in the middle when seen from one side but cinches from the other – from another angle it looks almost straight sided. 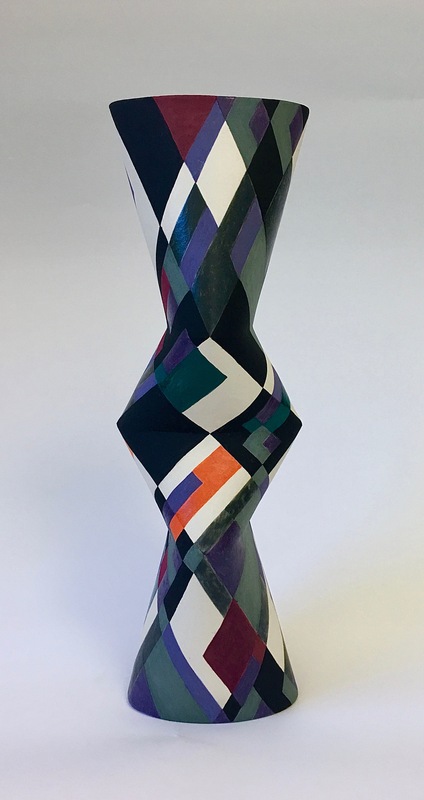 The Double Twist Oval Vases are created by joining two single vases together to create a taller, more intricate version. 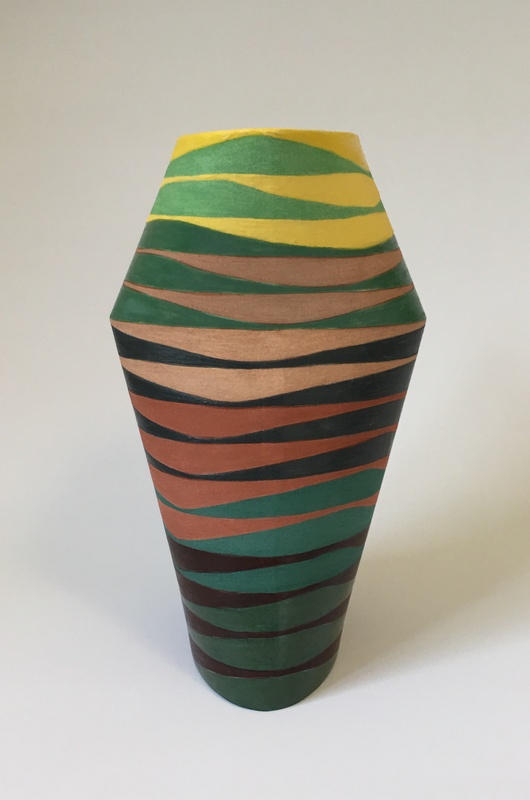 20cm tall slip cast moulded vase, exposed underglaze and matt glaze. 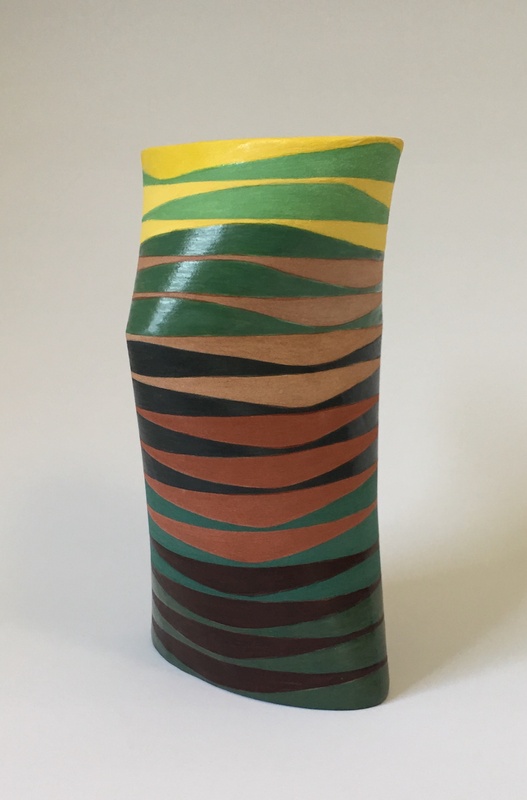 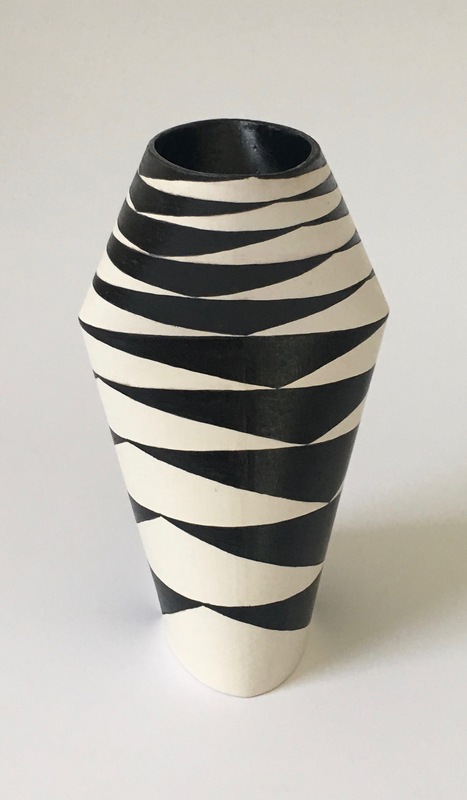 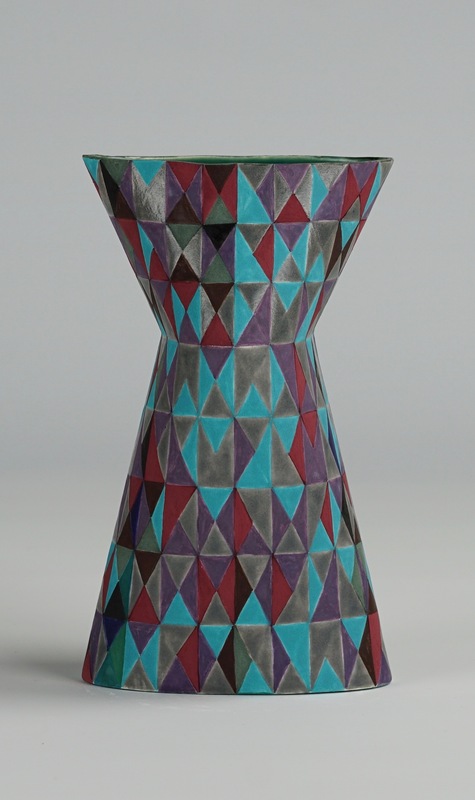 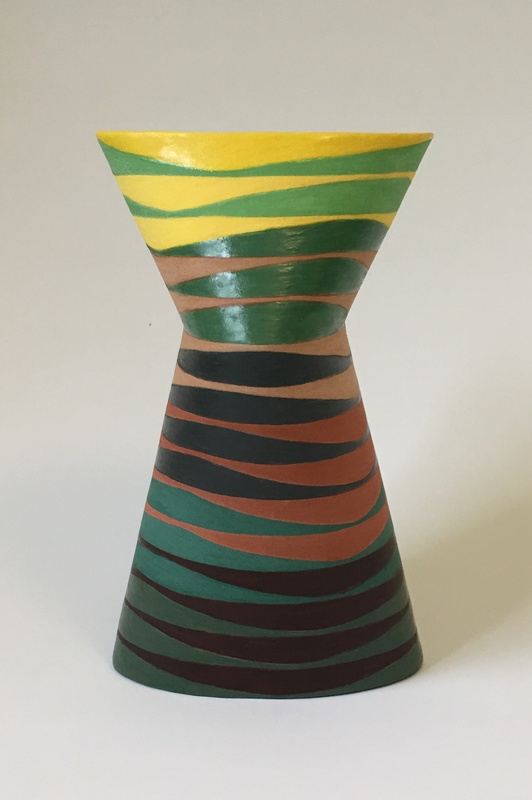 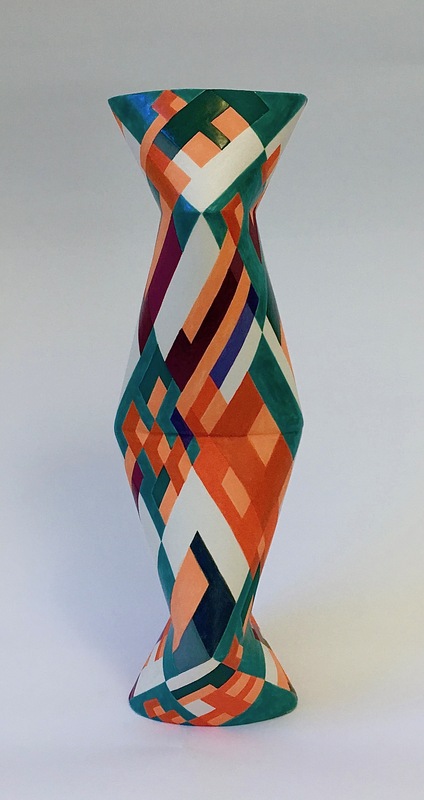 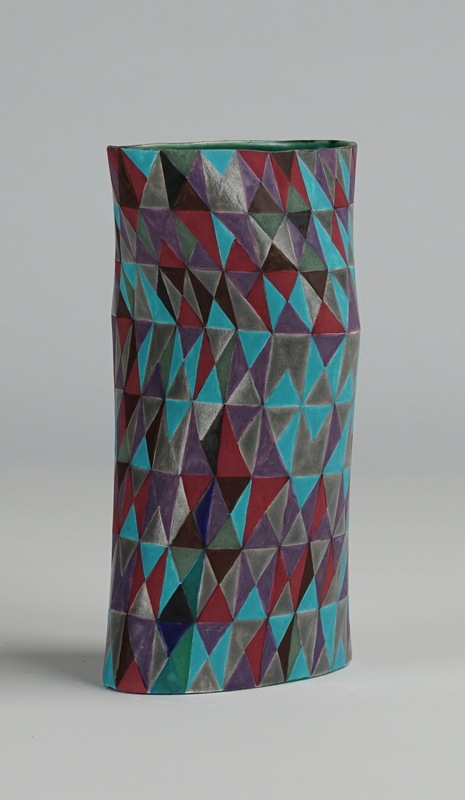 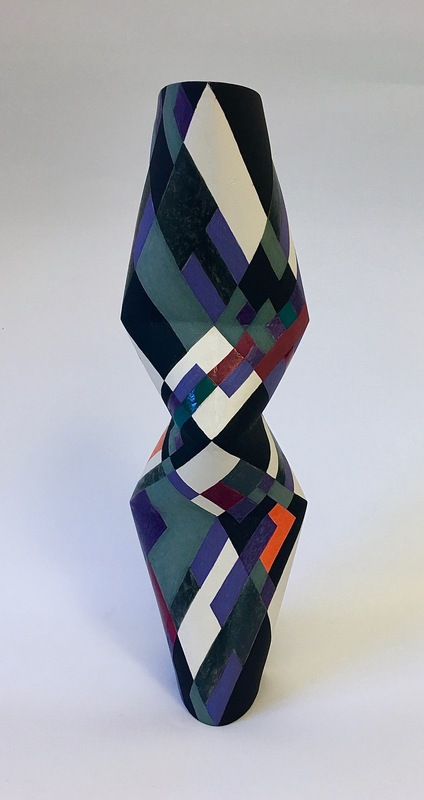 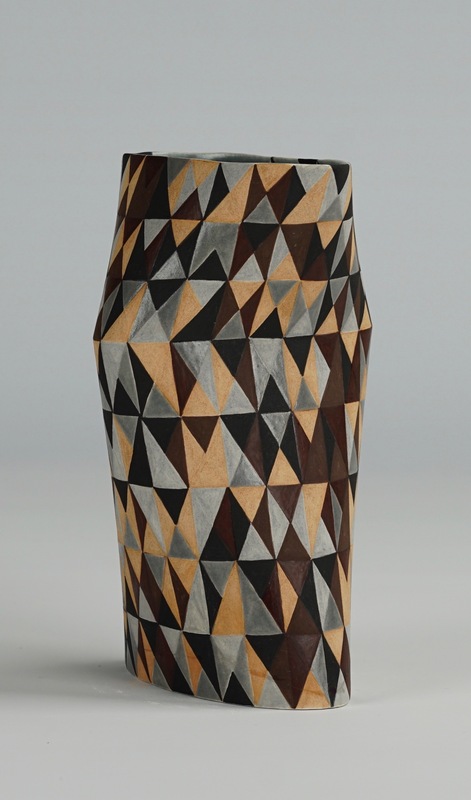 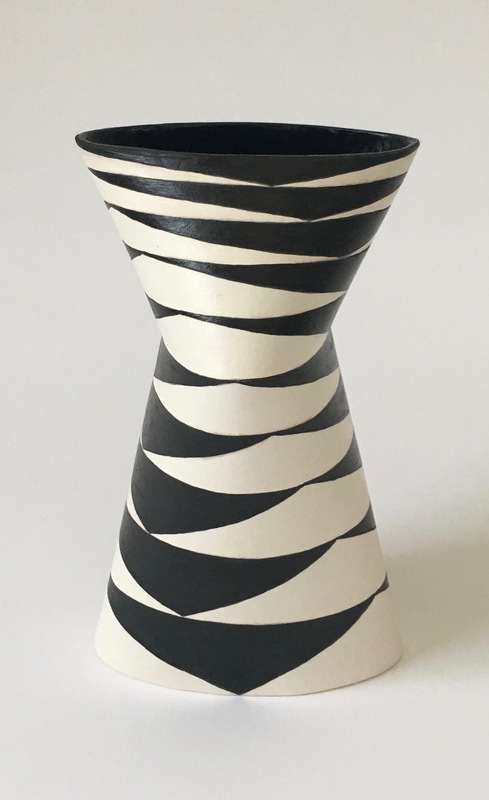 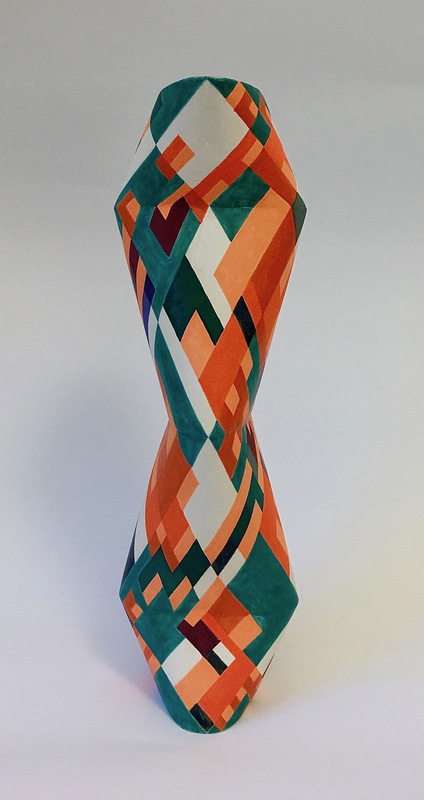 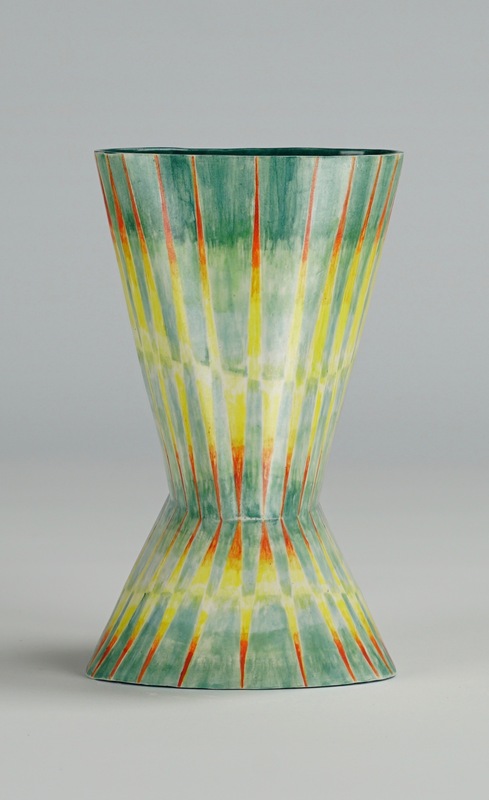 40cm tall slip cast moulded vase, exposed underglaze and matt glaze. 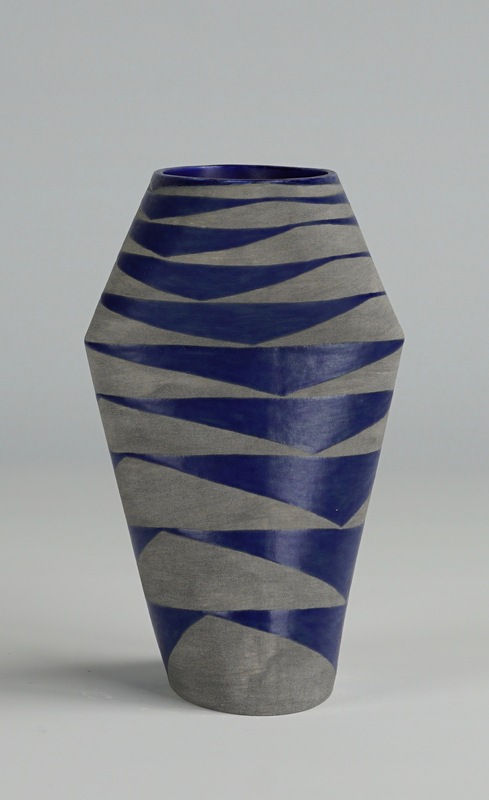 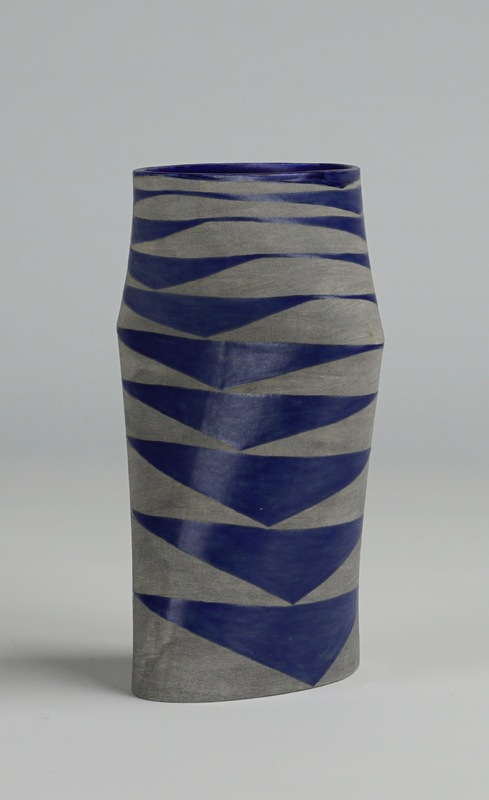 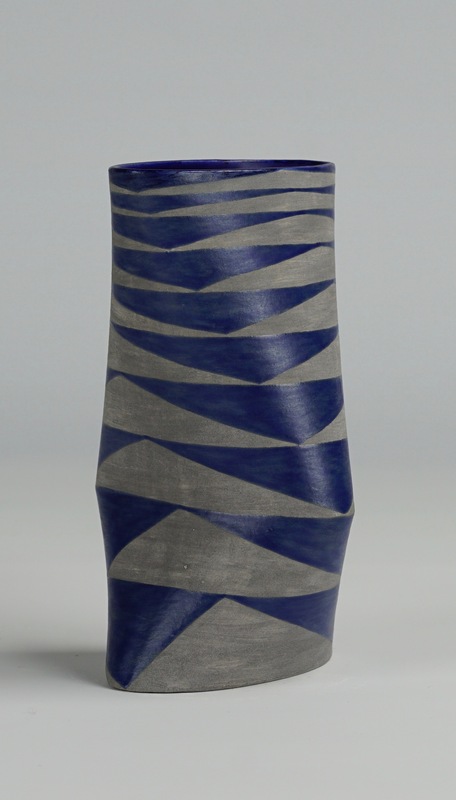 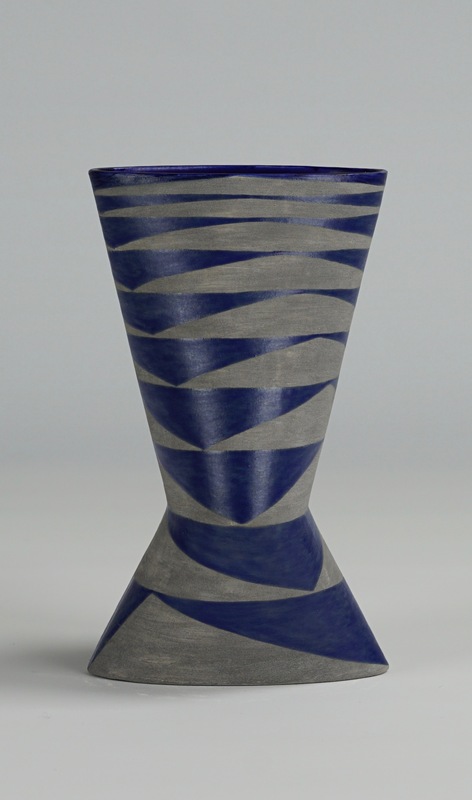 20cm tall slip cast moulded vase, exposed grey underglaze and blue matt glaze. 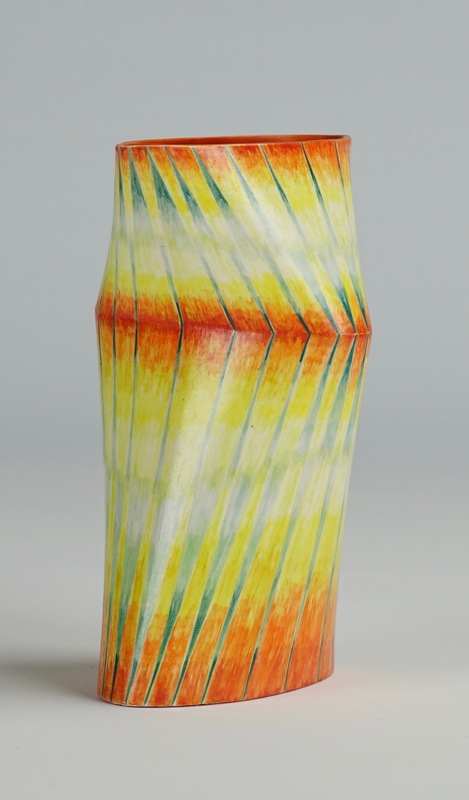 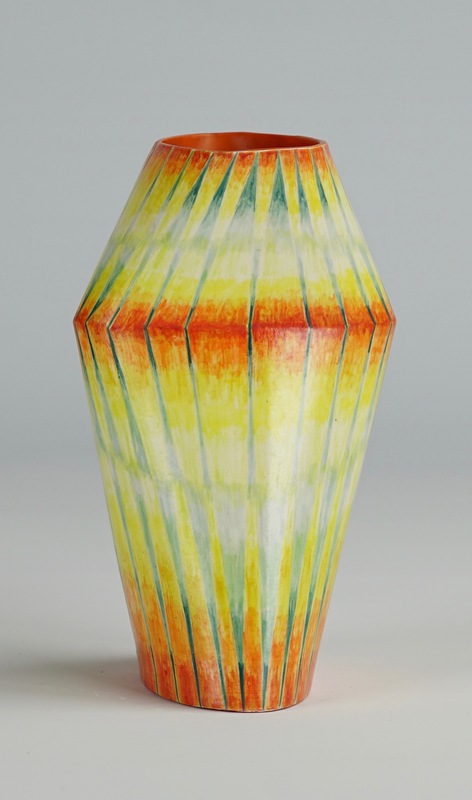 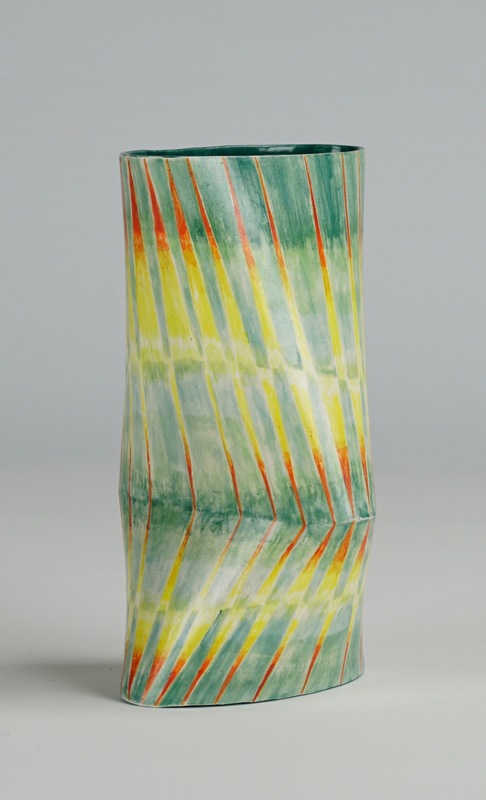 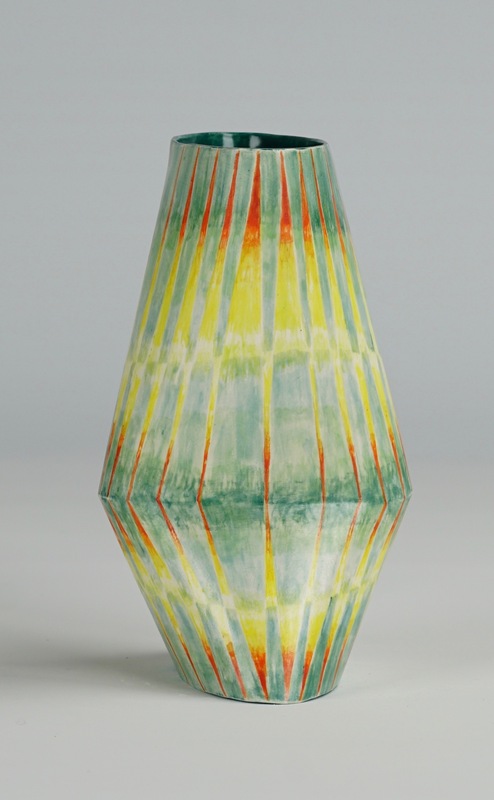 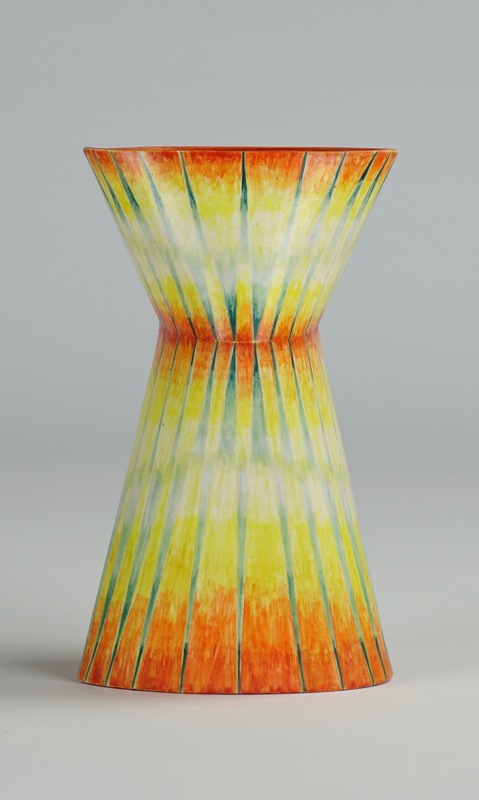 20cm tall slip cast moulded vase, matt glazed.